De Vere Selsdon Park Hotel & Golf Club is a traditional, mature parkland golf course cut from the original thick forest that dominated this part of Surrey when the course was first designed by JH Taylor, five times winner of the British Open, in 1929. The elevated greens and fairways lined with countless sycamore, beech, oak, silver birch and cedar trees, all make Selsdon a truly memorable course to play. During the last two years, Selsdon has refocused itself at all levels, with the golf course being just one of it’s many developments. Work has included reshaping the course, designing a new bunker appearance, introducing new fauna with wild flowers and the vast woodland management project. In total the course has five par-5 holes, four of which measure over 500 yards. 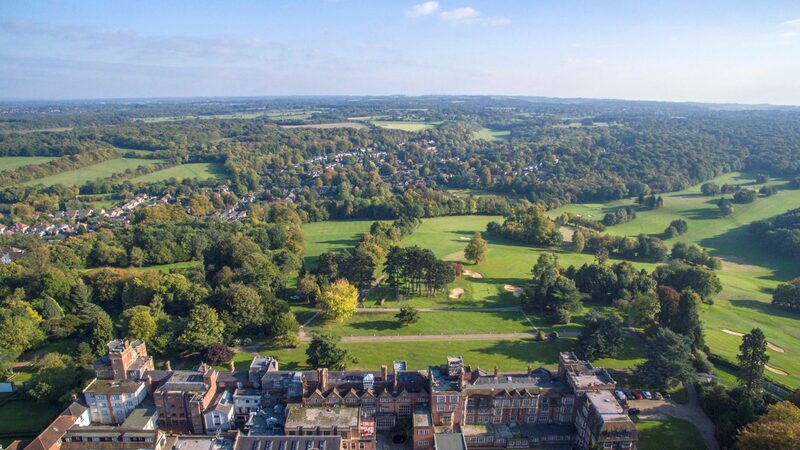 This need not be an intimidating experience, all but one of the nine par-4 holes are less than 400 yards and two of them are under 300 yards, so whether you are a handicapper or scratch player, Selsdon Park Hotel & Golf Club will give you the opportunity to dust down all of your clubs! The course stretches 6,368 yards, a challenging par 72. ADDINGTON ROAD | SANDERSTEAD | SURREY | CR2 8YA. Available 7 days a week, coffee & bacon baps, 18 holes & light lunch from £29pp, groups of 12 or more organiser goes free. Take Junction 6 off the M25, then following the A22 Godstone/Westerham/Caterham towards Caterham. Winter £20 weekdays, £25 weekends. Visitor Restrictions: No restrictions, although it is advisable to call in advance. Indoor swimming pool, gym, sauna, steam rooms, Jacuzzi, squash and tennis courts. Restaurant and bar, 26 conference rooms. Academy, warm up area, putting green, professional PGA tuition, golf shop. 350 free car parking facilities.